When working with rough building materials, you need gloves that protect you against abrasion without clogging up your pores or limiting your dexterity. With a breathable, palm-coated design, the Portwest Green Latex Grip Gloves A150GN offer both protection and comfort throughout the workday. Thanks to a crinkle grip finish, they provide secure grip, further improving safety and reducing fatigue. 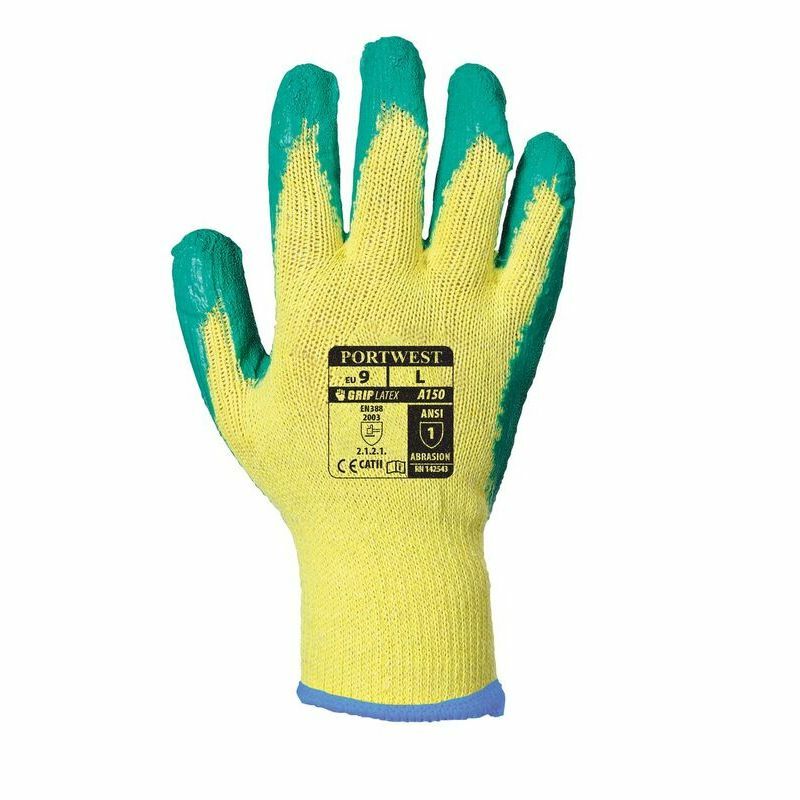 The Portwest Green Latex Grip Gloves are designated Category II gloves, meaning they are designed for medium-duty applications and intermediate levels of risk. 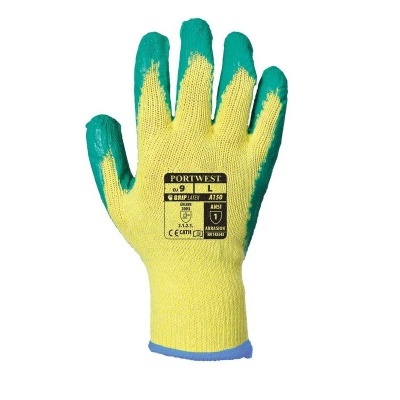 The Portwest Latex Grip Gloves are ideal general-purpose construction gloves. Their crinkle grip latex palm provides secure grip on most building materials, while their breathable design and fine 10 gauge liner mean they remain comfortable to wear even in warm weather. The Portwest Green Latex Grip Work Gloves are available in four different sizes. Please measure the circumference of your hand around the knuckles (excluding the thumb) with your hand open and your fingers together, and the length of your hand from the tip of your middle finger to your wrist.